The Aam Aadmi Party is in the eye of another storm that was once again stirred from within its folds. 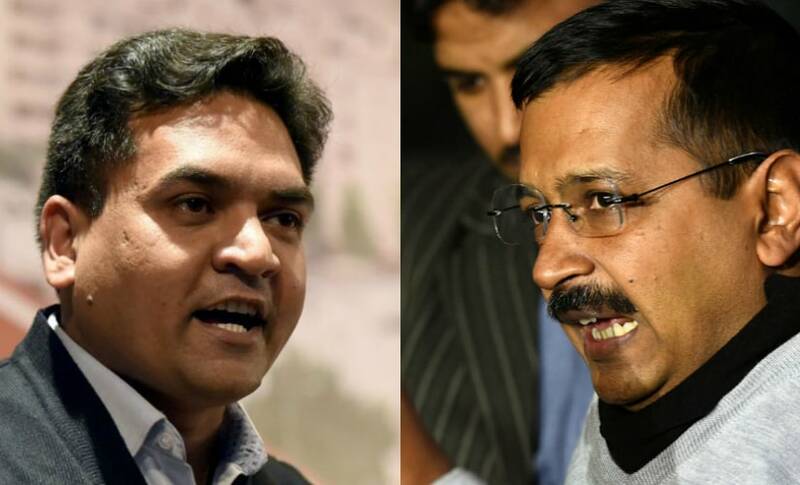 Kapil Mishra, the former water minister who was sacked by Arvind Kejriwal on Saturday, has stirred a hornet's nest by levelling serious charges of corruption against Kejriwal, national convener of the party that came to the fore solely on the promise of fighting corruption. In a dramatic revelation under full media glare, Mishra claimed that he witnessed Kejriwal taking Rs 2 crore in cash from state health minister Satyendar Jain, a charge rejected by Deputy Chief Minister Manish Sisodia as "unsubstantiated". Meanwhile, Mishra's charge has triggered calls for Kejriwal's resignation from the BJP and Congress. "Day before yesterday (Friday), I saw Jain hand over Rs 2 crore in cash to Kejriwal at his residence. When I asked about the money, Kejriwal refused to answer," Mishra told the media, a day after being sacked on Saturday. Mishra said that he had informed Lt Governor Anil Baijal about the issue and will provide details to investigating agencies as well. Reactions streamed in as soon as Mishra's so-called mega expose flashed across TV screens. Here is a brief account of who said what. It's not clear whether it's the fear of being ousted from the party (for criticising Kejriwal), or, that AAP leaders have unwavering faith in their leader, but the party has put up a united face so far. No one from the party has as much as acknowledged Mishra's statement even in the light of doubt. Kumar Vishwas, who was considered close to Mishra and was recently in headlines over a rift with the party, has also sided with Kejriwal, stating that he could not even imagine that Kejriwal could be corrupt. Sisodia has said that the allegations levelled are baseless and so trivial that they do not even merit a response. Party's spokesperson Richa Pandey, sought to label Mishra a sore loser, adding that he was sacked due to non-performance, which is why he was blowing things out of proportion. Another AAP leader Alka Lamba said that it was unbelievable that Kejriwal would indulge in corruption. Meanwhile, an interesting thing to note here is that nobody has so far said anything about Satyendra Jain, even though Mishra's allegation loom large over the health minister equally. Jain has consistently been a soft target within the party as far as corruption is concerned as his name has cropped up in money laundering cases and favouring his relatives as well as using his power as a minister. Kejriwal so far has kept mum. 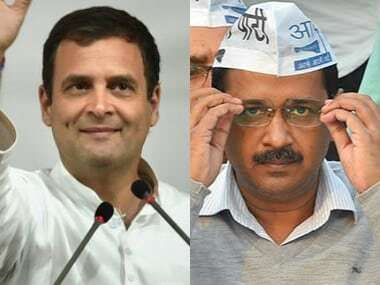 The Congress has demanded the Modi government to initiate criminal action against Kejriwal, asking the latter to step down as Delhi's chief minister. Delhi Congress president Ajay Maken told the media that Mishra's claims were not mere allegations but a testimony of an eyewitness warranting initiation of criminal proceedings against Kejriwal. "Mishra's claim that Kejriwal took Rs 2 crore is not mere allegation rather an affidavit before the public of what he saw. He is saying what he saw as an eyewitness. The Centre, the Anti-Corruption Bureau and the CBI should immediately take action and register FIR against Kejriwal. "Kejriwal has no moral right to continue as the chief minister. He should immediately resign," said Maken. He said that AAP, which governs Delhi, was "riddled with corruption". "Six of the seven AAP ministers including Deputy Chief Minister Manish Sisodia are facing corruption charges," he said. 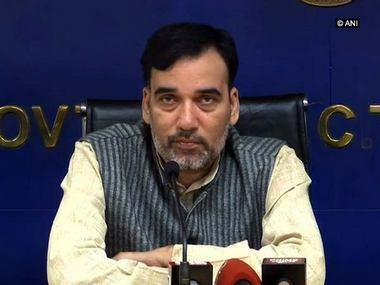 Maken alleged that the Modi government was reluctant to take action against the Kejriwal government. "Corruption charges against AAP are nothing new. The Shunglu Committee has indicted the AAP government of serious corruption charges but we have seen no action. "The BJP is very vocal in criticising the Kejriwal government but when it comes to taking action there is a reluctance. The charges made by Mishra are very serious and cannot be dismissed. The Centre has to take action," Maken said adding that the Congress will launch a signature campaign in Delhi from Tuesday and hand over 10 lakh signatures to Kejriwal as a referendum on the AAP. The BJP, which is the main opposition in the Delhi assembly, was quick to demanded Kejriwal's resignation. "Kejriwal has no moral right to hold the post of chief minister. He must resign immediately," Delhi Bharatiya Janata Party President Manoj Tiwari said. 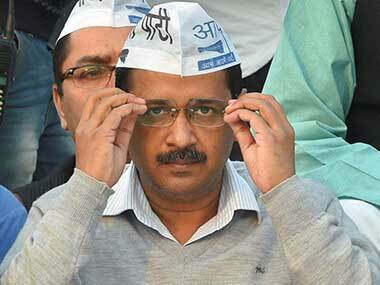 "I have said a number of times that Kejriwal is directly involved in corruption. Mishra's allegations prove that point." He said that the party has lost its way and Mishra had tried to raise the issue of tanker scam soon after taking charge of the water ministry. However, his silence over the period shows that AAP was not only reluctant to act against former Delhi chief minsiter Sheila Dikhsit, who was named in the scam, but also carried on with Congress-era scams in the same way. This may come as a partial relief to Kejriwal that most of his former comrades from the time of India Against Corruption are, at worst, guarded in their response. Even friends-turn-foe Swarajya India leaders who have criticised Kejriwal for his "greed for power", "lack of morality", and "authoritarianism" refrained from calling him outright corrupt, unlike the BJP and Congress. This is what Swarajya India's chief spokesperson had to say. Yogendra Yadav also said that he could believe that Kejriwal was authoritative or power hungry, but he would need solid proof to believe that the leader was corrupt. Kiran Bedi, who has since joined the BJP also said that a probe is necessary in the matter to decide the veracity of the claims. Allegations of corruption made by a Minister claiming to b an eye witness, against his own CM needs an independent investigation forthwith.. However, anti-corruption crusader and Kejriwal's political mentor Anna Hazare sounded upset over the allegations made against the Delhi chief minister. Talking to Times Now, he said, "It is unfortunate if he has accepted the cash. If the allegations are true, then he has shattered the movement. Probe will definitely reveal the truth."